Going natural is the new mantra in housekeeping as well as gardening in modern times. Do you know why? Well, natural things are always safe and environment friendly as compared to harsh chemicals. Gardening is one activity that allows us to experiment with a lot of natural things and elements. Amongst a host of easily available things is vinegar, an ingredient commonly seen in most households. 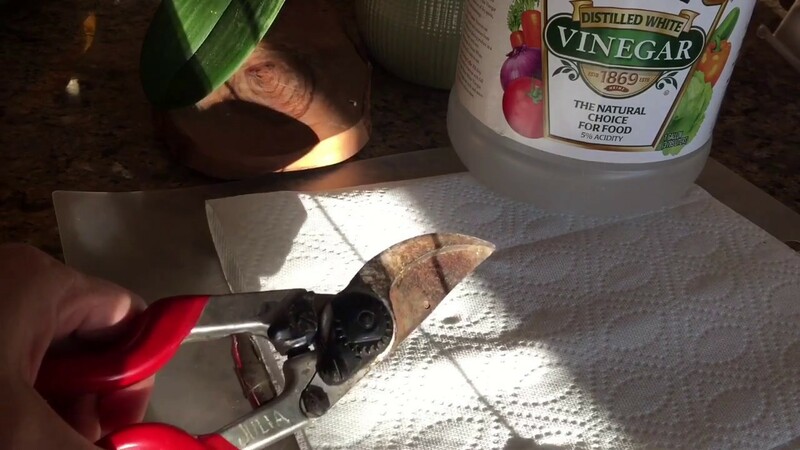 Now, you can use vinegar in the garden in a variety of ways that will surprise you. Come, let’s discover some of vinegar’s miracles in the garden! Fruit flies are a big menace for any garden as these wreck havoc on your fruit trees and fruits. Now, you can deter these flies by making a fruit fly trap comprising of natural ingredients like vinegar. All you have to do is make a solution consisting of 1 cup of water, 1/4th cup of sugar, 1/2 cup of apple cider vinegar and 1 tablespoon of molasses. Mix the solution well, and pour it in cleaned cans of plastic or tin. Attach a hanger to these so that you can hang them from trees. The aroma will attract flies and will eventually trap them. Most of the times, when we pluck flowers and keep them in vases, these dry up or rot fast. How would you like if you could extend the life of your colorful fresh flowers, but naturally? Well, think no further but make use of the humble vinegar for this purpose. Cut flowers can best be enjoyed when they last for a long time. 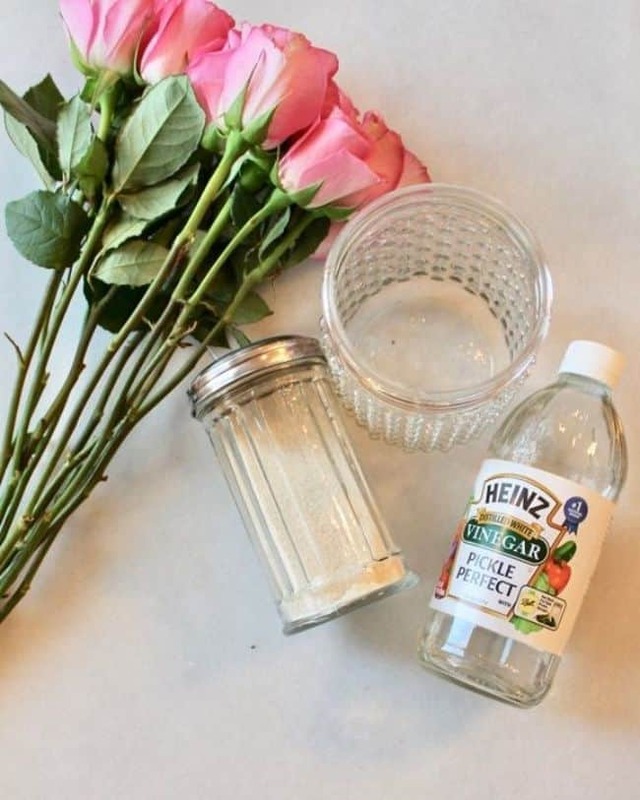 For this, you would need to add 2 tablespoons of vinegar along with 2 tablespoons of sugar and one liter of water to a flower vase. Keep the flowers in this solution for a couple of days, and then change. For most acid loving plants like azaleas and gardenias, vinegar is a blessing. 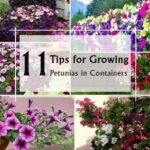 These plants love the acidic nature of vinegar, and when watered with a solution including it, these can get a rejuvenated look. For this, you have to make a solution of vinegar, about a cup, and a liter of water. Mix the solution well, and then, spray it on these plants. You will see an instant glow on the blooms, though this is only temporary. Does vinegar help plants grow? 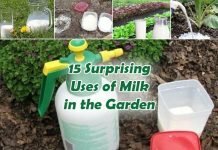 Well, it doesn’t encourage any growth in plants, but, definitely helps in keeping them free of molds and fungus. 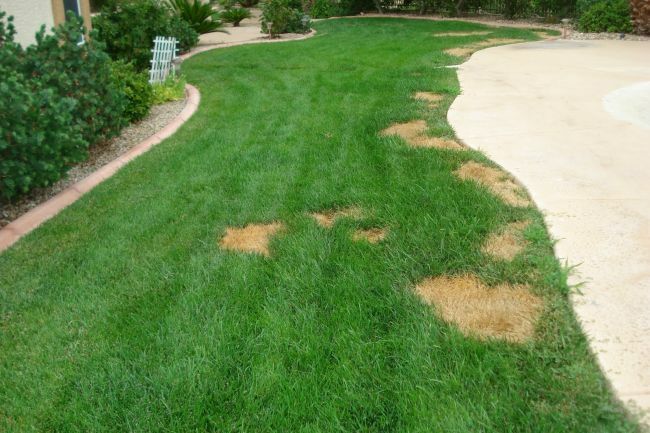 Vinegar can be used as a fungicide spray to keep away fungus from attacking and killing your plants. You have to make a solution of 2 tablespoons of vinegar and chamomile tea after its brewed. Then, fill a sprayer and spray it all over the plants, covering its foliage. This will kill any fungal growth on the plants. Another important use of vinegar when you are gardening is that it helps to get unwanted weeds killed. 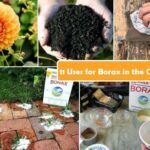 Use it to naturally eliminate weeds from your garden bed, or within the crevices of your walkways or walls. 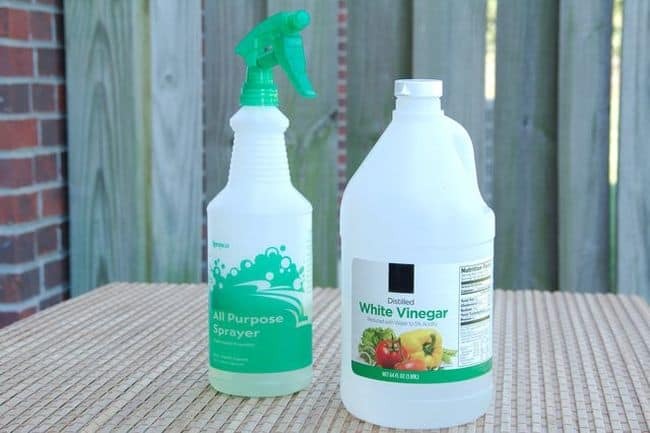 You can prepare a very effective vinegar plant killer solution by mixing pure white vinegar with some salt. 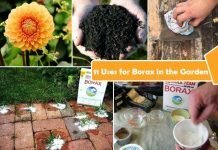 Pour this solution directly over the weed growth and see them getting burned and eventually killed. 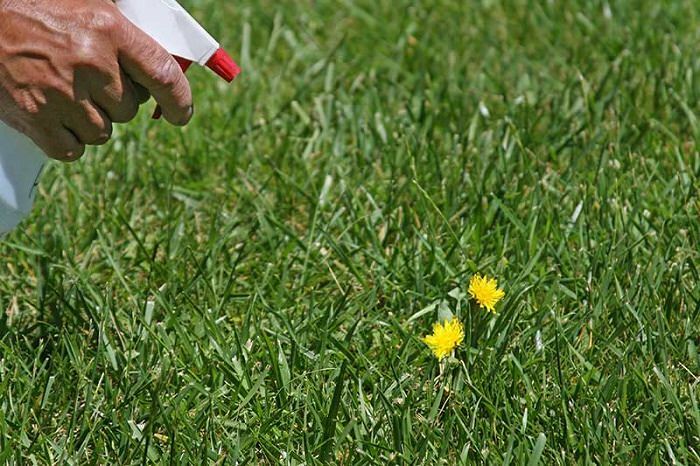 You can also spray pure vinegar on the weeds that may have overgrown into your walkways. Gardens have many pests and insects visiting them from time to time, among which ants are quite common. Now, you don’t need to use harmful chemicals for removing ants from the vicinity of your garden. Simply, use undiluted vinegar to be poured straight into the ant hills built in your garden and see the ants running for their lives! However, you have to repeat doing this as ants are stubborn and will return again and again. Can I spray vinegar on houseplants or garden plants as an insecticide? The answer to your question is – YES! No longer do you need to buy expensive insecticides for spraying on your plants. 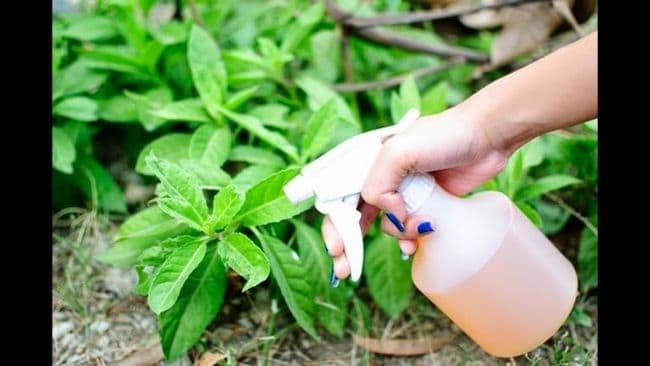 You can make an Eco-friendly spray to kill insects that ravage your plants. 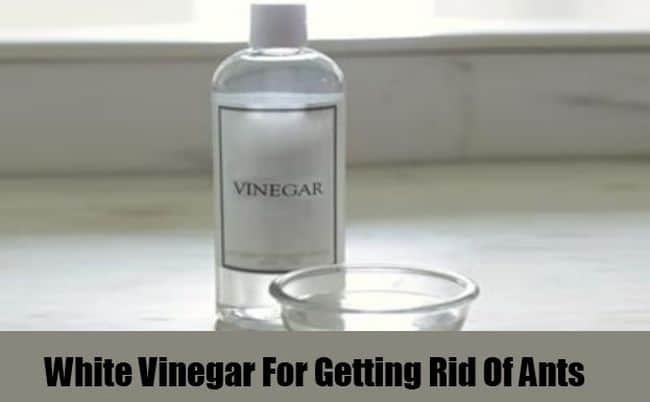 Take one part vinegar along with three parts water and pour the solution in a spray bottle. To this, you add a teaspoon of dishwasher detergent. 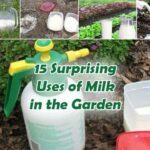 Mix the solution well and use it to spray on plants. 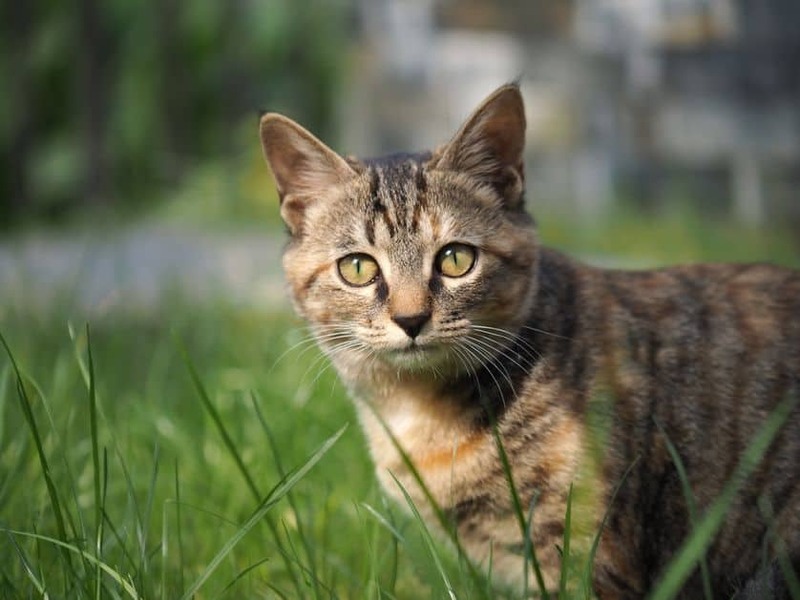 Animals like cats, rabbits and moles are considered threats to lush green gardens as they cause damage to your lovely plants. 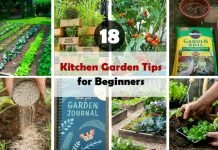 There is a way to keep them away from loitering around your garden, and it involves using vinegar. These animals hate the smell of vinegar and when you want them not to disturb you, simply soak some of your old clothes in white vinegar and place them randomly around the vicinity of your garden. Rabbits can be deterred by placing vinegar soaked cotton balls inside containers with their lids drilled with holes. 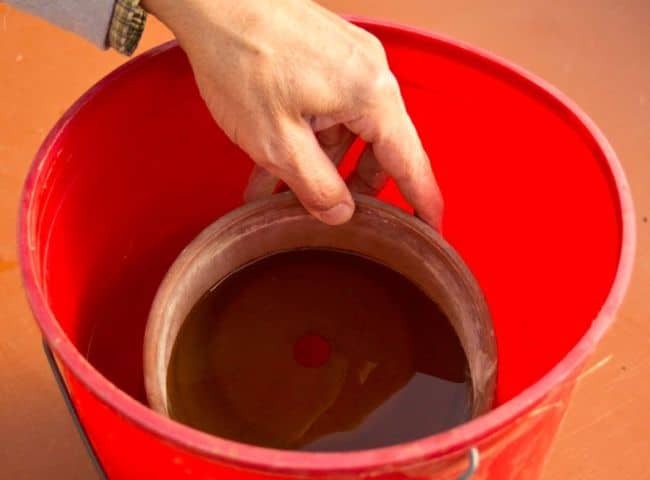 There is another very important use of vinegar, and that is removal of molds from terracotta pots. For this, you would have to prepare a solution of 1 whole cup of white undiluted vinegar, 1 cup of chlorine bleach and 1 cup of clean warm water. Then, soak the pots in this solution for some time. Afterwards, scrub the surface with a scrubber. 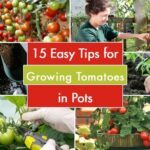 This will also remove any fungal growth in the pots. Cleaning with vinegar also brings back luster and freshness to the pots. All you need to do for having clean garden tools is to clean them up with vinegar and water. We all know about many commercially available cleansers, but, now, you no longer need to depend on these harsh chemicals for doing your cleaning chores. Simply, make a solution comprising of a couple of ounces of vinegar and a liter water. Fill this solution in a bucket, and then soak your dirty tools. Afterwards, rinse them and dry up. 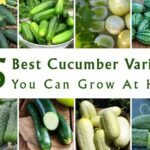 Natural things like baking soda and vinegar are very helpful in getting rid of irritating pests like snails and slugs which are considered a menace for all gardens. These slithery insects can wreck havoc as they go about chomping away your precious greens. So, put an end to them by using undiluted vinegar that must be sprayed directly over them. Or, else, you can also spray a vinegar fertilizer on the plants. 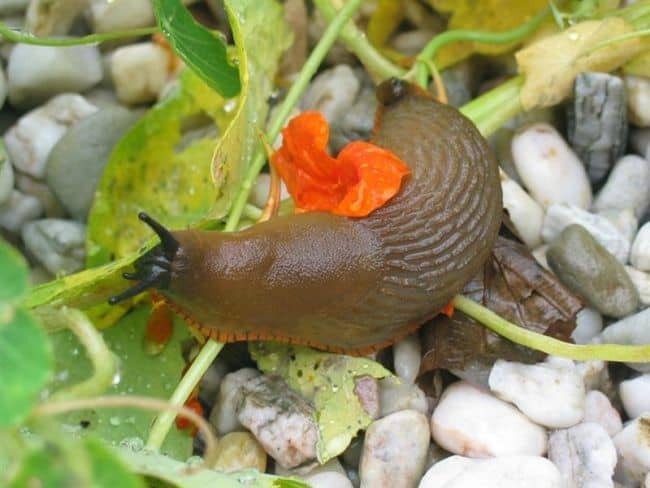 This will discourage the snails and slugs to come close to your plants. 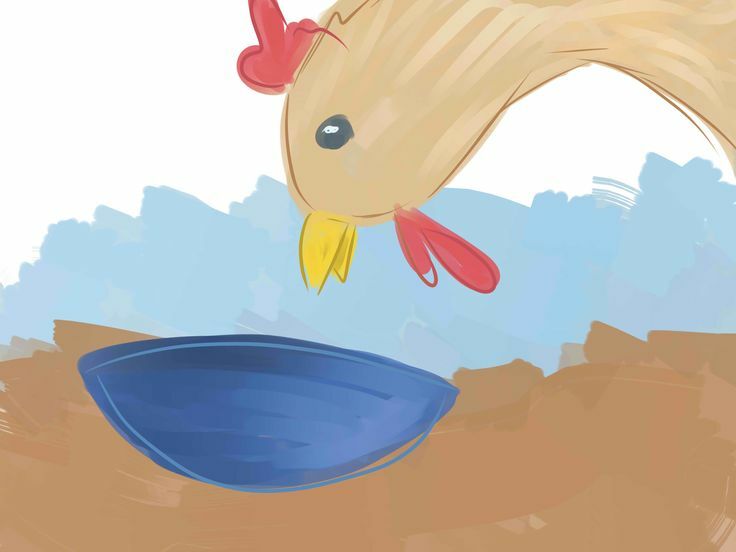 It may appear as if we are bluffing, but, the truth is that vinegar can come to your aid in stopping chickens from pecking at each other! Yes…vinegar is the safest way to prevent these birds from pecking and nibbling at one another. 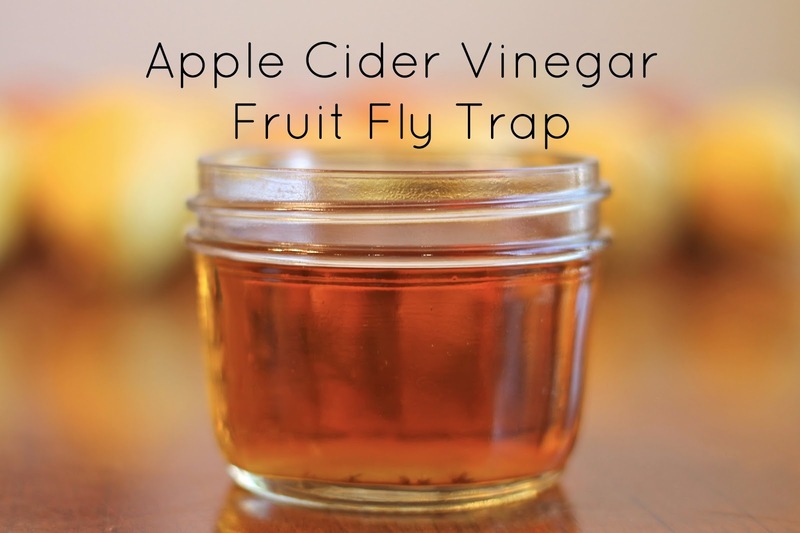 Simply, mix, say, about 1 tablespoon of cider vinegar to their bowl of water. Once they drink this water, they will soon stop pecking and behave! Another very interesting fact about vinegar usage is that it can prevent brown spots from settling in your yard, and keep it always green. 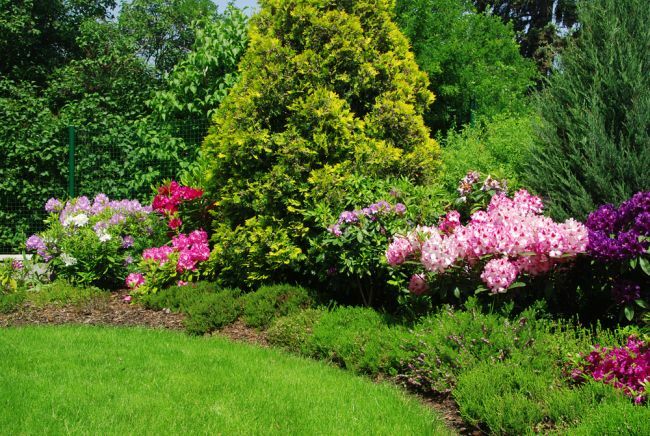 However, you simply cannot spray vinegar on the yard and wait for the spots to disappear. For this, you would need to take your dog’s help! Add a tablespoon of vinegar to your dog’s drinking bowl. Every-time, your dog takes a leak, the vinegar content in its urine will clear off the spots. This seems weird, but the acidic content in vinegar and urine react together to clear off the spots. 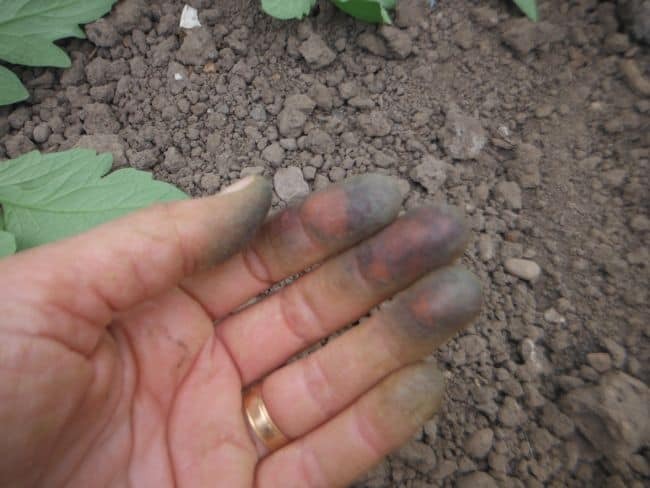 Gardening renders hands really dirty. Now, you can use a natural and safe ingredient to clean away all the dust and the dirt. Use distilled white vinegar for rinsing away grime and soil. You will get sparkling hands! 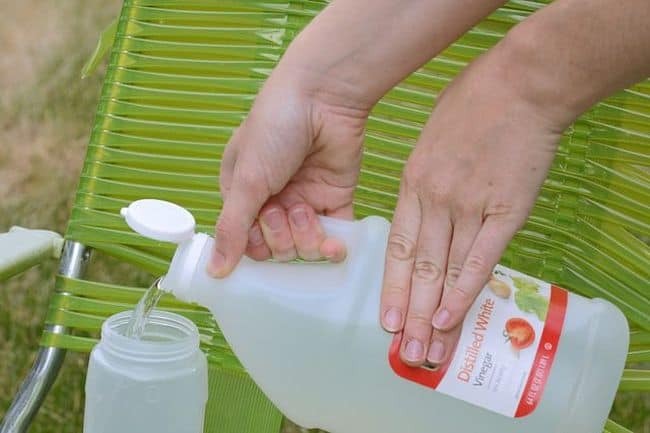 There are numerous ways of using vinegar in the garden, such as you can clean your garden stools, picnic tables or chairs with this liquid. Just take a sponge or a clean cloth soaked in white distilled vinegar and then rub off the dust and grime. Your furniture will shine instantly. 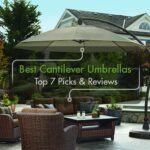 Vinegar is the safest way to protect your plants, and is a cheaper option when compared with other commercially available products. It is not merely safe, but also quite easy to be used. In case you are an environment friendly person, it is suggested that you use vinegar for your household as well as garden. 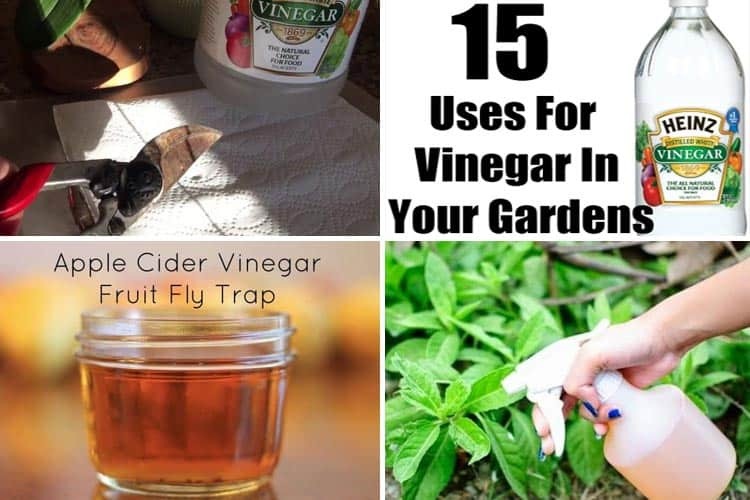 These amazing 15 uses of vinegar in the garden will simply save you loads of money! Do try!